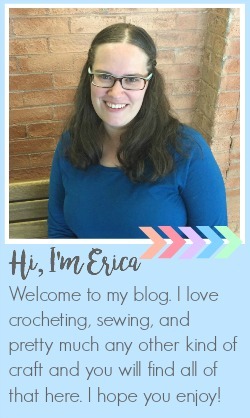 I wanted to make something to go along with the new theme but I was having a difficult time coming up with an idea. 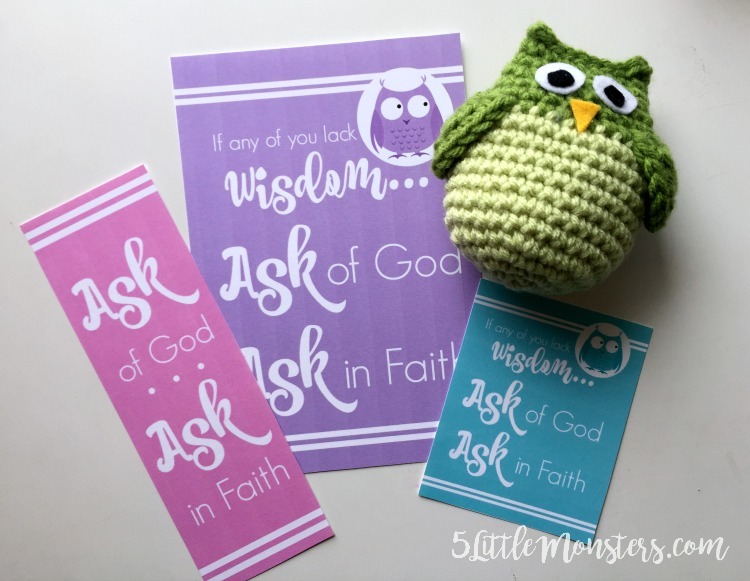 My mom mentioned the idea of using an owl, specifically the owl ornaments I made at Christmas time, and I thought that since the scripture starts out with "If any of you lack wisdom" and owls are often associated with wisdom that it would be cute to add an owl. I tried to focus on the word "ask" since that seems to be the word that is the main focus of the theme. 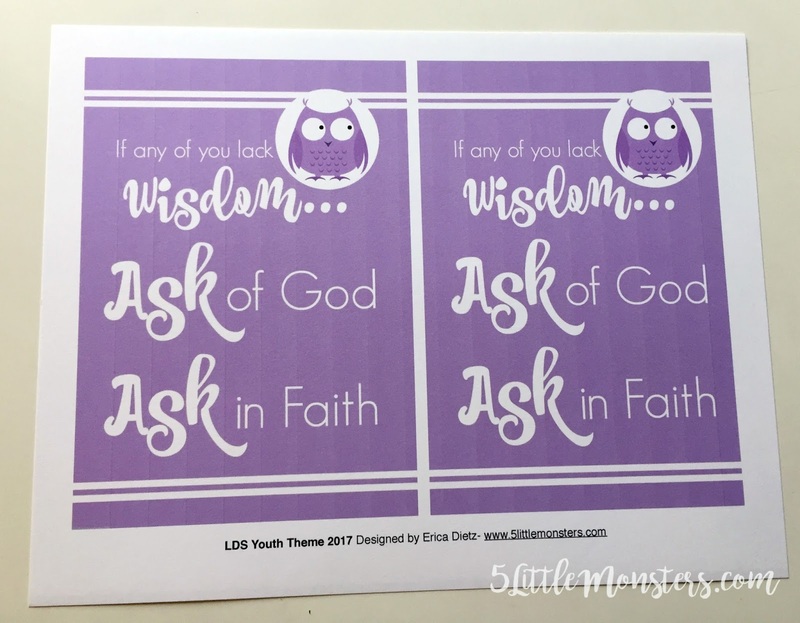 I made a set of 5x7 printables with an owl on them that say "If any of you lack wisdom, Asf of God, Ask in Faith". 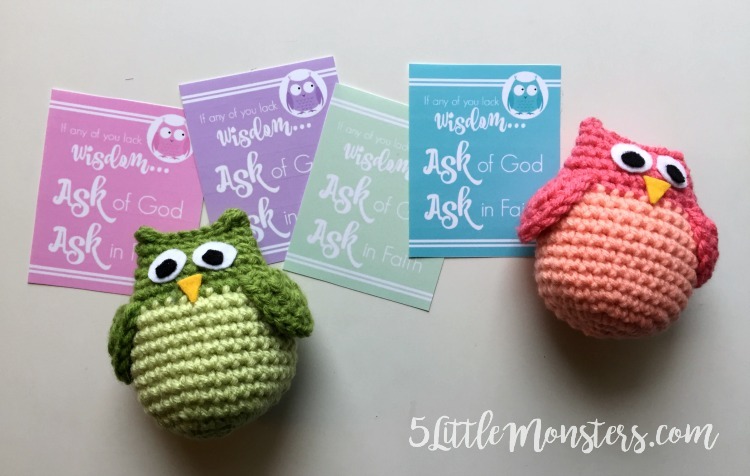 I also shrunk them down to make some small little tags that could be added to the crocheted owls and given as reminders to the girls. 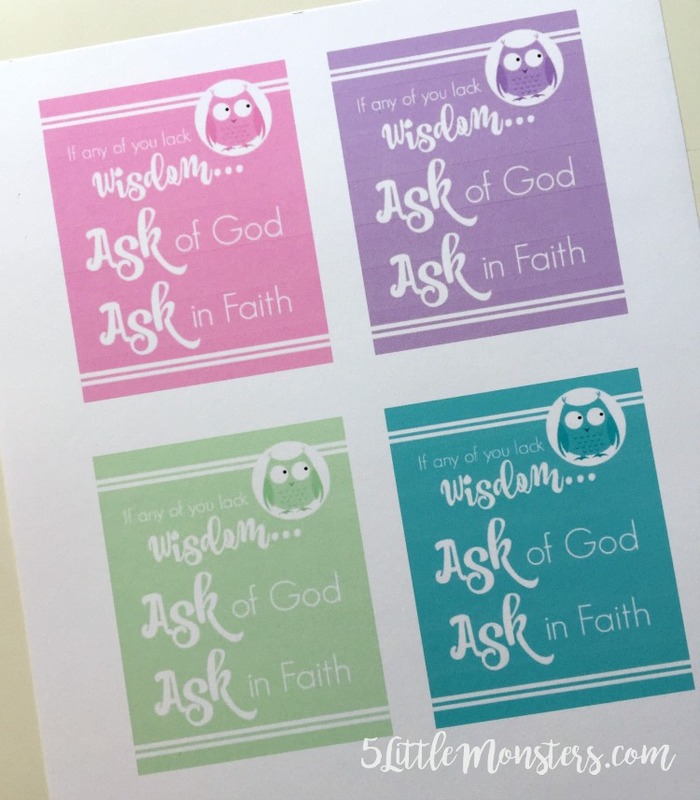 Or maybe you could laminate them and turn them into magnets or whatever else you can think of to do with a tag size version. 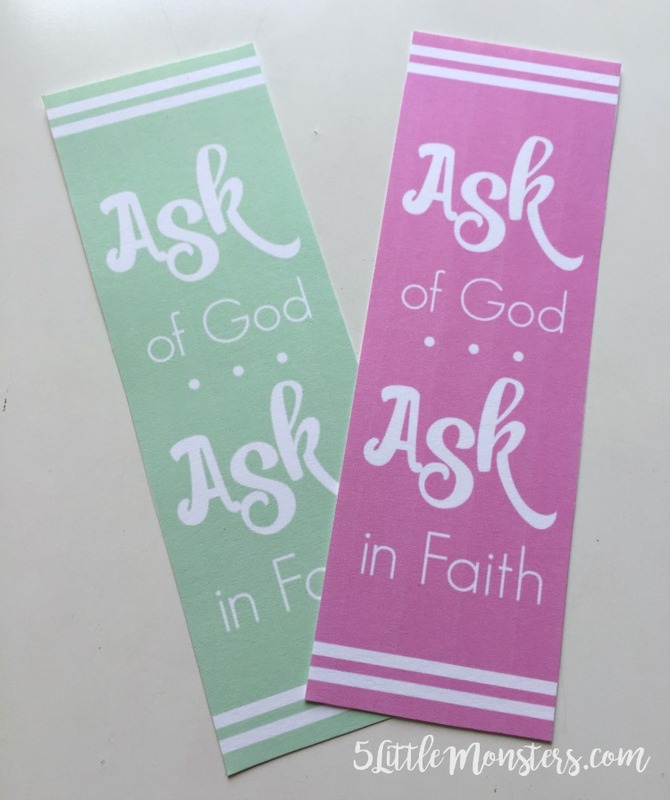 The last thing that I made was a matching set of bookmarks. 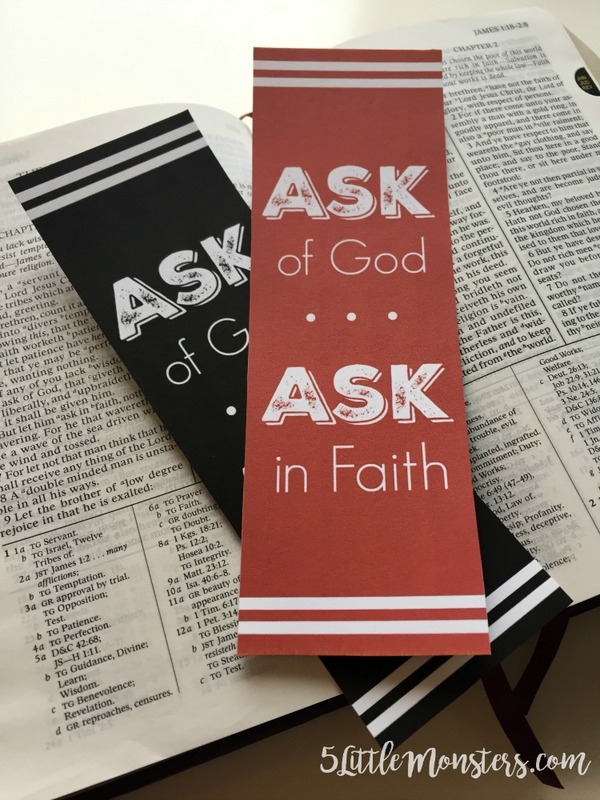 The bookmarks just say "Ask of God, Ask in faith". 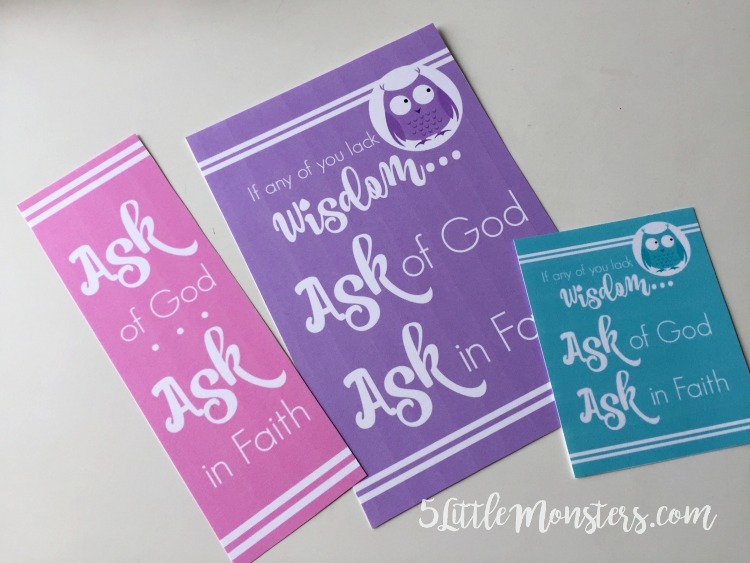 The 5x7's and the bookmarks are available in 5 colors, aqua blue, mint green, pink, purple, and gray. 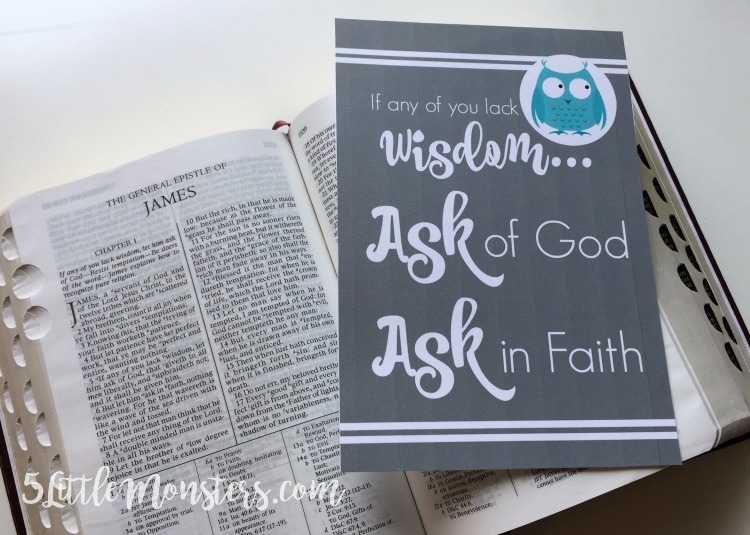 The 5x7 have 2 to a page and the bookmarks are 4 to a page. The tags are one page with 4 colors (same as above except gray) all on the same page. 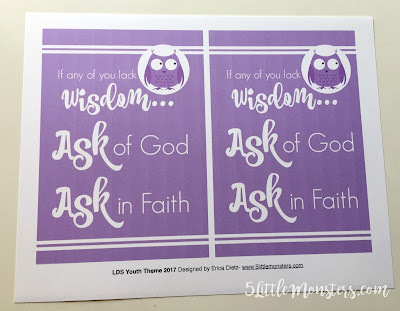 The scripty font that I chose to use seemed to be a little girly to me and I was making them with Young Women in mind, however I decided to change up the fonts a little bit to make a less girly version of the bookmarks that could be given to the Young Men. Those are available in 4 colors, gray, black, navy, and red. 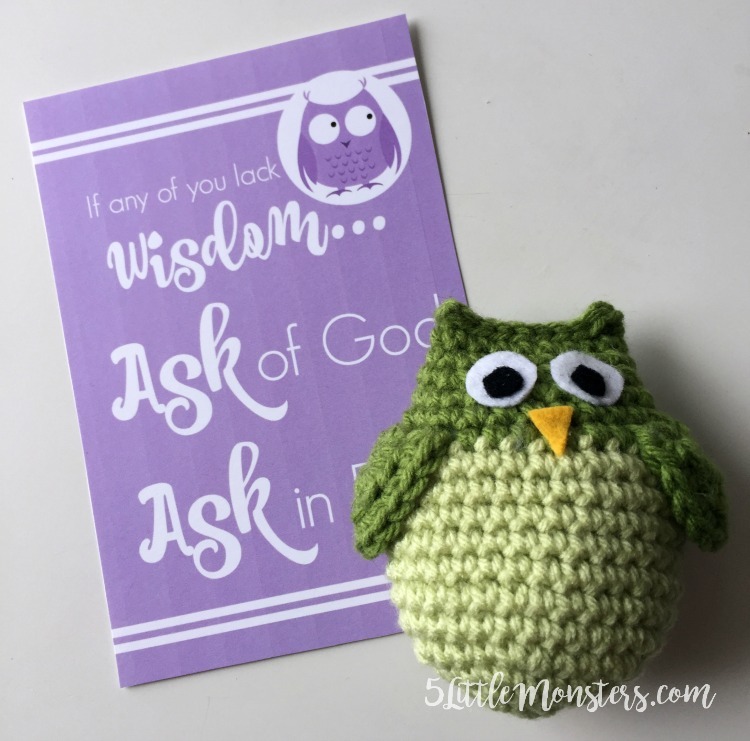 You can download all of the versions by clicking the links below and the owl crochet pattern can be found here. 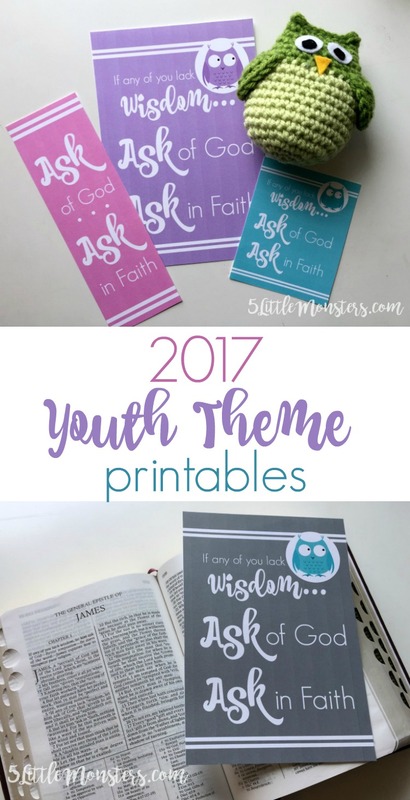 Thank you so much for creating such fun and beautiful handouts and bookmarks! 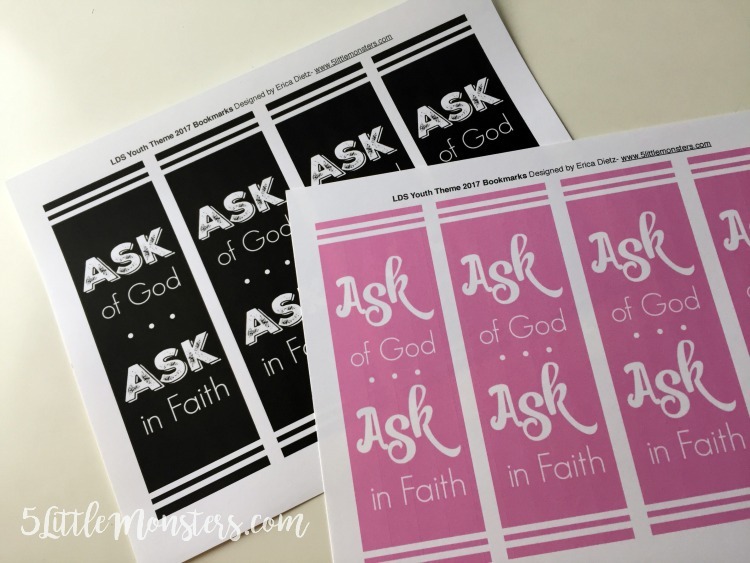 We are excited to use these for our New Beginnings event this month. You are such a talented artist, thank you so much for sharing.